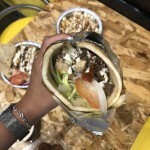 HomeEatCheap EatsThe Coolest Ice Cream Joint in Montreal is Now Open! 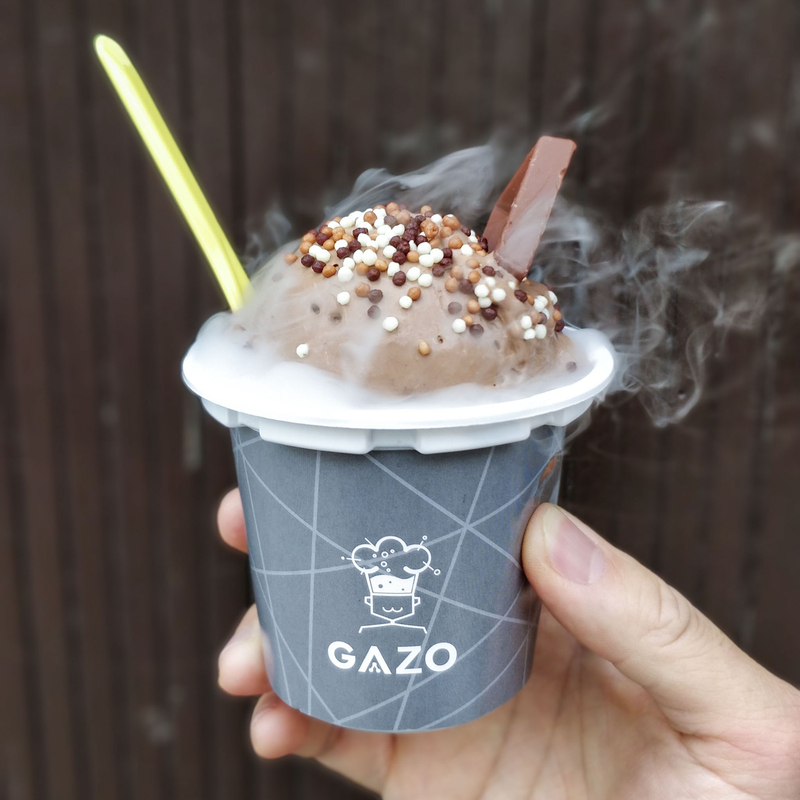 Gazo, the first liquid nitrogen ice cream shop, in Montreal is officially opened! 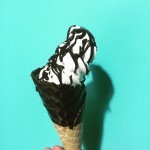 Unlike other ice cream shops, you won’t see rows of pre-made ice cream ready to be scooped on a cone for you. This is a whole new experience with a scientific approach. 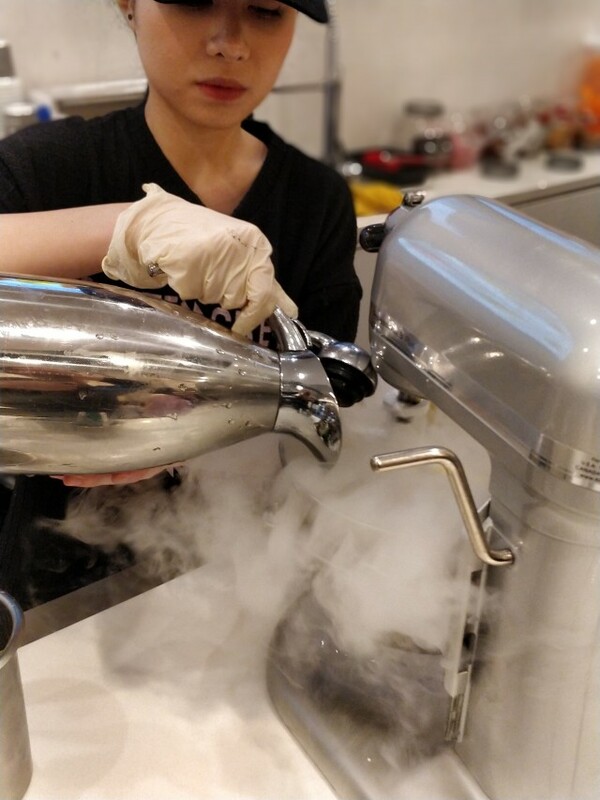 Once you order, a staff makes the ice cream right before your eyes… with liquid nitrogen! 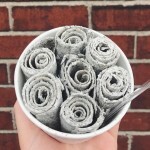 So what’s so cool about liquid nitrogen ice cream? The temperature (boiling point) of liquid nitrogen is at 77K (-196°C), and it’s the fastest way to make ice cream. The rapid freezing causes the fat and water particles to remain microscopically small, giving ice cream an ultra-smooth and creamy consistency. Choices of ice cream include tiramisu, strawberry cheesecake, matcha, dark chocolate, and more. Currently, the non-dairy version is the mango sorbet topped with fresh mangoes and mint. 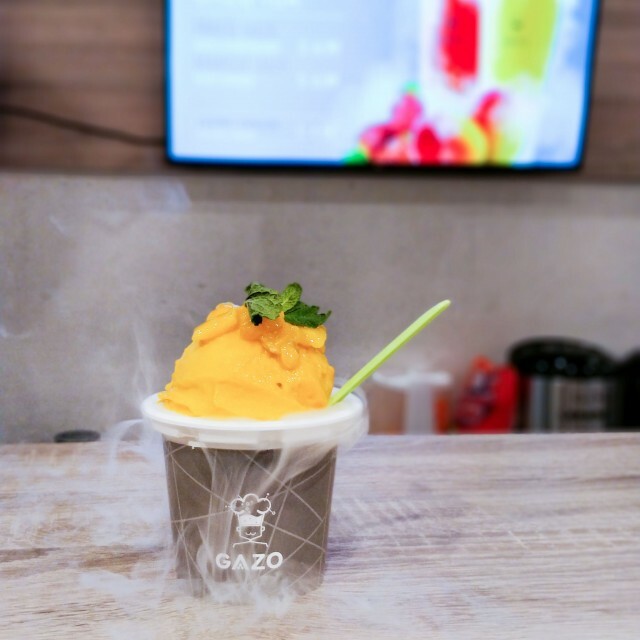 Not only do they serve ice cream, they also serve two of the trendiest tea drinks in Asia: cheese tea and fruit tea. The cheese tea might sound like a very strange and unappetizing concoction, but this drink has become widespread in Taiwan, China, Singapore, Malaysia, and Hong Kong. Cheese tea is composed of premium quality tea topped with a cheese mousse foam that is made from cream cheese, cream, and milk. 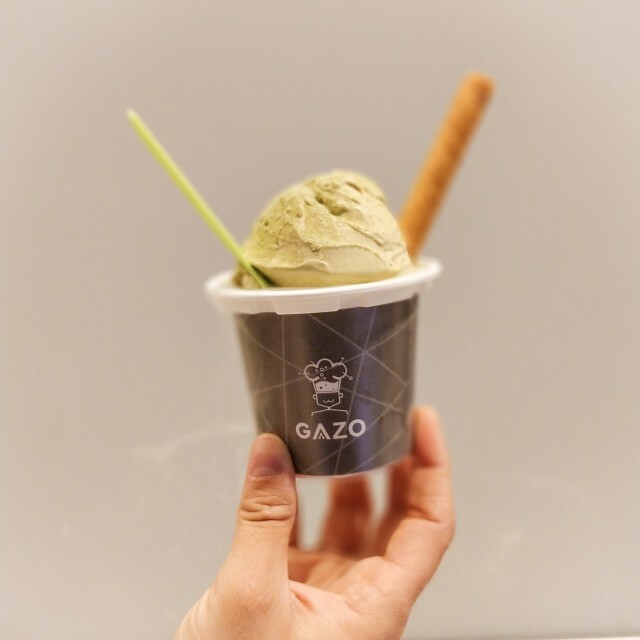 Here at Gazo, you can choose either Jasmin green tea, Assam black tea, or Four season oolong. The best way to drink this is not through a straw, but by sipping so you can taste the sweet and salty taste of the foam blended with the refreshing floral taste of the tea. Overall, it gives a creamy and smooth feel to the palate. Think of it as a healthier version of a milkshake. One taste and you will be a convert! Fruit tea is a healthier version of a bubble tea. It uses high quality tea leaves with fresh fruits. The fruits are artfully placed in a see-through mug so you can take beautiful Instagram shots. It is a light and fruity drink, perfect for the summer! 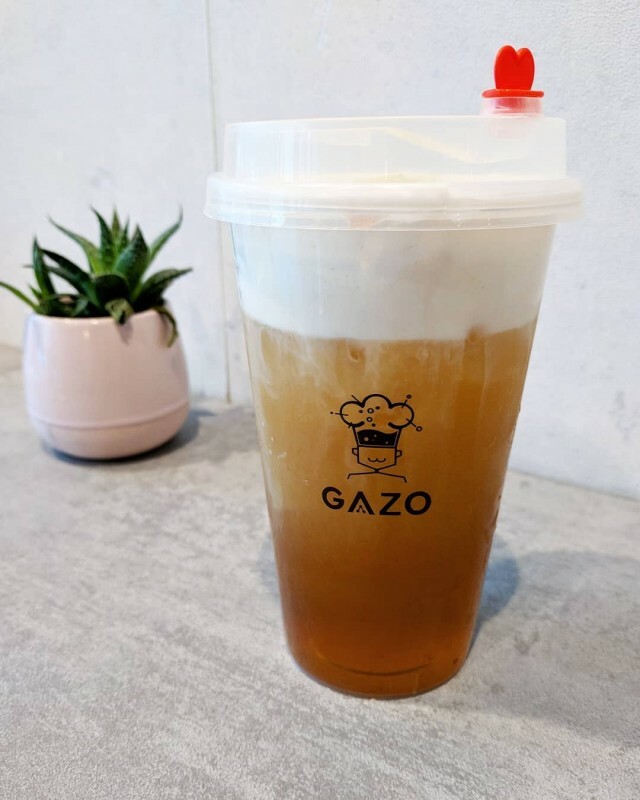 Their signature Gazo Teas are their bestsellers. 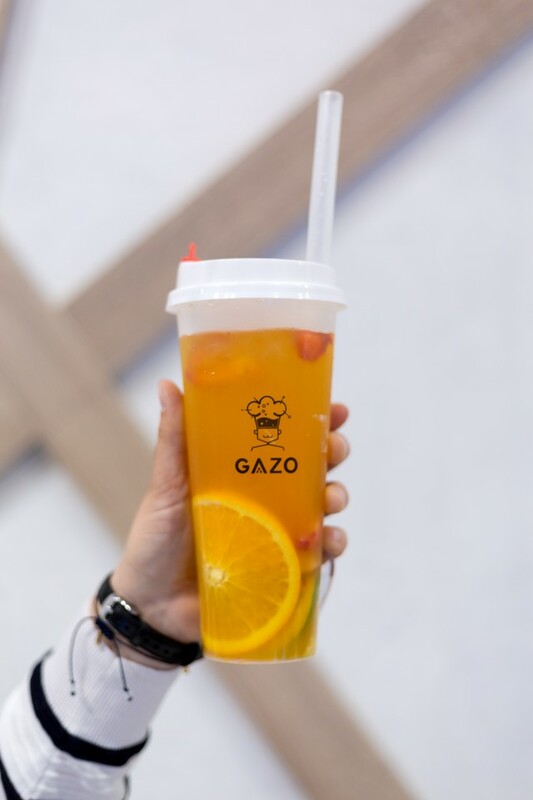 You can opt either for the Gazo Mango or Gazo Strawberry Teas. The bottom layer is vanilla ice cream prepared with liquid nitrogen. The center is popping boba that gives a burst of fruitiness in your mouth. The top is either mango or strawberry smootea (fruit + jasmine tea) that is light and refreshing. You can either mix the ice cream with the smootea to act as a milkshake or enjoy the layers separately. 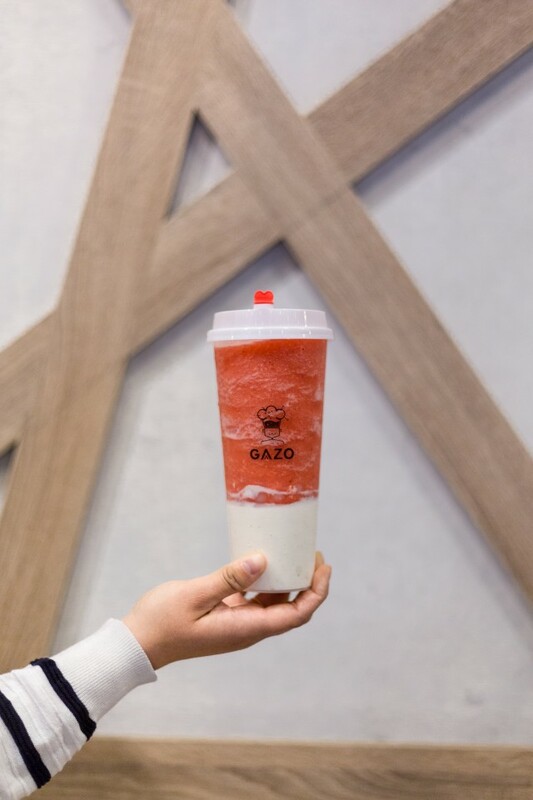 Gazo recently added a new drink on their menu, currently trendy in Asia. 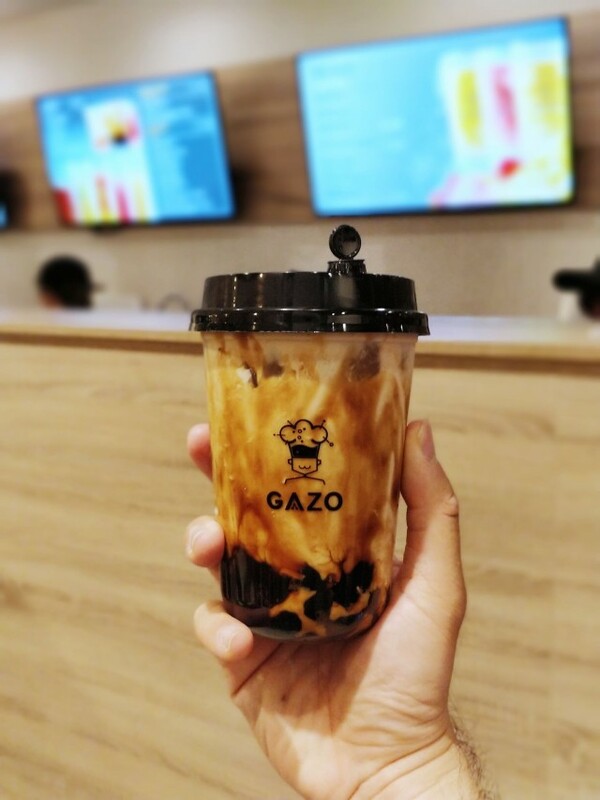 It’s called the brown sugar boba – brown sugar syrup coated on the side of the cup served with milk tea and tapioca pearls. To drink this, slowly swirl your straw to incorporate some sweet-bitter taste to your drink. 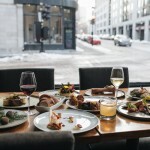 Photos by Victor Yu (@randomcuisine), @plouffffe, and @blindedbyfood.